In the early days of computers, storage was calculated in megabytes and most systems relied on floppy drives. With the rise of hard drives, people could store more data but it was not very portable. CDs brought digital audio but also the means to provide high capacity portable storage that made it easy to share a large amount of data and easy to install applications. DVDs expanded on that by bringing movies and TV shows and capacities well beyond what hard drives could even store. Now through a number of factors, finding a PC that includes any sort of optical drive is becoming very difficult. Let's face it, optical discs are still quite large. At nearly five inches in diameter, the discs are big when compared to the size of modern laptops and now tablets. Even though the optical drives have been greatly reduced in size, more and more laptops have dropped the technology to conserve on space. Even though a large number of ultraportable computers have in the past dropped the drive in order to allow for thinner and lighter systems, the original MacBook Air showed just how thin a modern laptop could be without the drive. Now with the rise of tablets for computing, there is even less space to try and incorporate these large drives into the systems. Even if you are not talking about the size of the mobile computer, the space used up by an optical drive can be used for more practical things. After all, that space could be better used for the battery which can extend the overall running time of the system. If the system is designed for performance, it could store a new solid state drive in addition to a hard drive for added performance. Maybe the computer could use a better graphics solution that would be useful for graphics work or even gaming. When CD drives first hit the market, they offered a huge storage capacity that rivaled traditional magnetic media of the day. After all, 650 megabytes of storage was well beyond what most hard drives were at the time. DVD expanded this capacity even further with 4.7 gigabytes of storage on the recordable formats. Blu-ray with its narrower optical beam can almost achieve 200 gigabytes but more practical consumer applications are generally much lower at 25 gigabytes. While the growth rate of these capacities is good, it is nowhere near the exponential growth that hard drives achieved. Optical storage is still stuck in the gigabytes while most hard drives are pushing even more terabytes. Using the CD, DVD and Blu-ray for storing data is just not worth it anymore. Terabyte drives are generally found for under a hundred dollars and offer faster access to your data. In fact, many people have more storage in their computers today than they are likely to use over the lifetime of the system. Solid state drives have also seen tremendous gains over the years. The flash memory used in these drives is the same that was found in the USB flash drives that made floppy technology obsolete. A 16GB USB flash drive can be found for under $10 yet stores more data than a dual layer DVD can. The SSD drives used within computers are still fairly expensive for their capacities but they are getting more and more practical every year such that they will likely replace hard drives in many computers thanks to their durability and low power consumption. With the rise of smartphones and their use as digital music players, the need for physical media distribution has slowly eroded. As more and more people started listening to their music on these players and then their smartphones, they did not generally need a CD player other than to take their existing music collection and rip it into the MP3 format to listen on the new media players. Eventually, the ability to purchase the tracks through the iTunes store, Amazon MP3 store and other media outlets, the once ubiquitous physical media format has increasingly become irrelevant to the industry. Now that same problem that happened to CDs is also happening to the video industry. DVD sales made up a huge portion of the movie industries revenues. Over the years, sales of the discs have declined greatly. Some of this is likely from the ability to stream movies and TVs from services such as Netflix or Hulu. In addition, more and more movies can be purchased in a digital format from stores like iTunes and Amazon just like they can with music. This is extremely convenient especially for those people that want to use a tablet for watching video while traveling. Even the high definition Blu-ray media has failed to catch on compared to previous DVD sales. Even software which always used to be purchased on disc and then installed has moved into the digital distribution channels. Digital distribution for software is not a new idea as it was done years before the internet through shareware and bulletin board systems. Eventually, services such as Steam for PC games rose up and made it easy for consumers to purchase and download programs to use on their computers. The success of this model and that of iTunes lead many companies to start offering digital software distribution for computers. Tablets have taken this even further with their app stores built into the operating systems. Heck, even most modern PCs do not come with physical installation media anymore. Instead, they rely on a separate recovery partition and backups that are made by the consumer after the purchase of the system. Probably the biggest factor that will lead to the demise of the optical drive in PCs is Microsoft dropping support for DVD playback. In one of their developer blogs, they state that the base versions of the Windows 8 operating system will not include the software necessary for playing back DVD videos. This decision carried over to the latest Windows 10. This is a major development as it was a standard feature in previous versions of the operating system. Now, users will either have to purchase the Media Center pack for the OS or will need a separate playback software on top of the OS. The primary reason for this move has to do with costs. Apparently, Microsoft says that companies licensing the software were concerned about the overall cost of the software to be installed on the PCs. By removing the DVD playback software, the associated license fees for the video playback codecs can also be removed thus reducing the overall cost of the software. Of course, it will just be one more reason that consumers will likely abandon the hardware as it will be useless without the added software expense. Finally, the last nail in the coffin for optical media is the whole format wars and piracy concerns that have been plaguing the high definition formats. Originally, it was the battle between HD-DVD and Blu-ray that made adoption of the new format problematic as consumers waited for the format wars to be worked out. Blu-ray was the eventual winner of the two formats but it has not caught on hugely with consumers and much of this has to do with the DRM schema present and the difficulties of working with it. The Blu-ray specification has gone through multiple revision since it was first released. Many of the changes to the format have to do with piracy concerns from the studios. In order to prevent perfect digital copies from eating into sales, changes keep being introduced to make it more secure from being copies. This change has resulted in some newer discs from not being able to be played in older players. Thankfully computers have all the decoding done by software rather than hardware. This makes them more adaptable but it requires constant upgrading of the player software to ensure functionality with upcoming discs. The problem is that security requirements can change which may result in some older hardware or software from being able to view the videos. 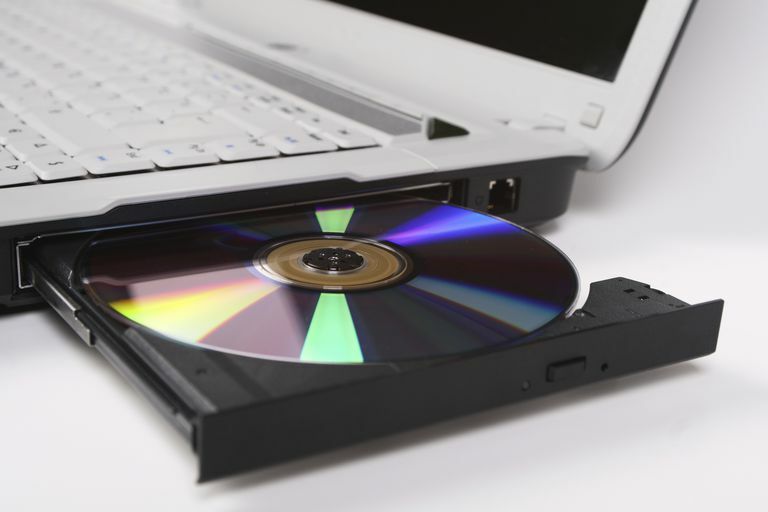 The end result is that it can be a major headache for the consumers who wish to have the new optical formats in their computers. In fact, users of the Apple software have it even worse as the company refuses to support the technology within the Mac OS X software. This makes the Blu-ray format all but irrelevant for the platform. Now optical storage is not going to completely disappear from computers any time soon. It is just very clear that their primary usage is changing and is not a requirement for computers like they once were. Instead of being used for storing data, loading software or watching movies, the drives will likely be there to convert the physical media into the digital files for playback on computers and mobile devices. It is almost certain that the drives will be completely removed from most mobile computers in the near future. There is little use for the drives when it is so much easier to view them off a digital file than the disc. Desktops will still pack them for a while as the technology is so inexpensive to include and there are not the space issue of mobile computers. Of course, the market for external peripheral optical drives will survive for a while for anyone that still wants to have the capability that will be dropped from their future computers.